Spring is almost there. Days are getting longer and we are all craving to go back on the water. Time has come to order your sailing and windsurfing equipment to start the season fully geared-up! Find out more about Phantom updates and novelties below. Phantom International is proud to launch the Iris Windsurfing Boards Line. Just a few weeks after the introduction of its Windsurf Sails, Phantom continues to enlarge its range. These unique boards are Made in France and have innovative shapes, with sleek graphic designs. 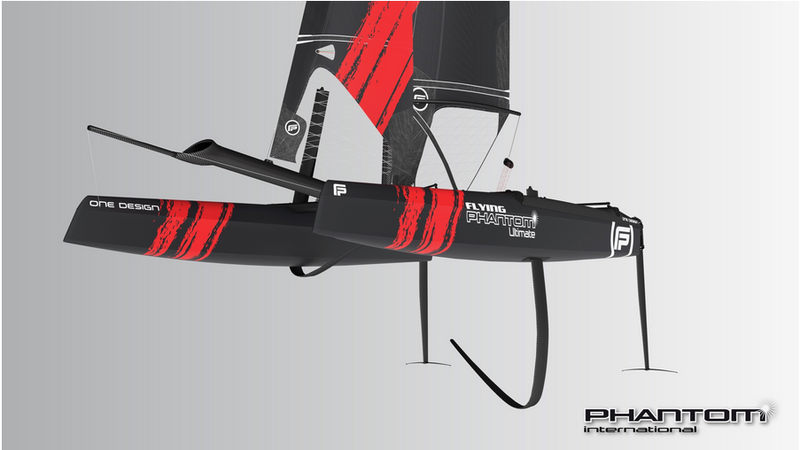 Featuring high-end carbon pre preg construction and finish, the Iris Line offers eight boards from 97 litres ‘bump and jump’ to 147 litres ultra-competitive windfoil. This exclusive and limited line is the result of the collab between Phantom and Elix/R1 brand. More details here. Have you ever heard of the largest windsurfing competition where 1,200 windsurfers will compete at the same time from the same start line, in offshore winds blowing up to 70 knots? This is what the Défi Wind is all about! Phantom International will be there to showcase its products. Come and join us in Gruissan (South-east of the French Mediterranean coast) for this amazing event. More details here. Want to be part of the exclusive Ultimate Club Owners? Be quick and don't procrastinate: only a few more units are available for this year out of the 12 piece limited edition. The FP Ultimate is the result of Phantom International unrivalled experience in foiling sports catamarans combined with the benefits from the last AC50 developments in Bermuda during the last America’s Cup. We are currently delivering our early year batch of FP Essentiel to our lucky customers, from Corsica and Germany to Belize in Central America. Let us remind you of the importance of an early order confirmation for a quick delivery before the summer. Our monthly production is limited, and there is a three month lead time, so if you want to receive your boat in May, you need to order now. The FP Essentiel test sails agenda is filling up quickly. Don’t miss the opportunity to experience the Flying catamaran with our skipper. Contact us to find out more about our dates and conditions.